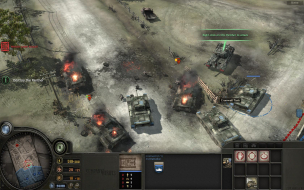 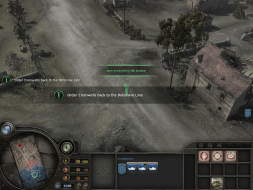 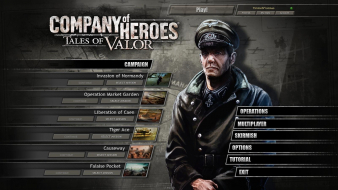 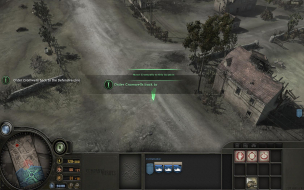 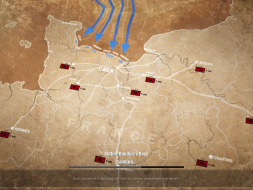 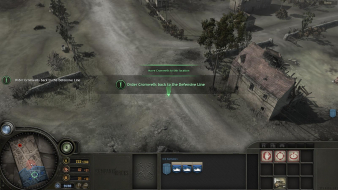 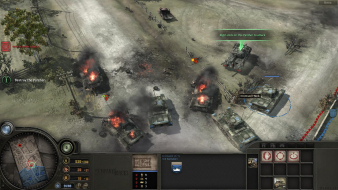 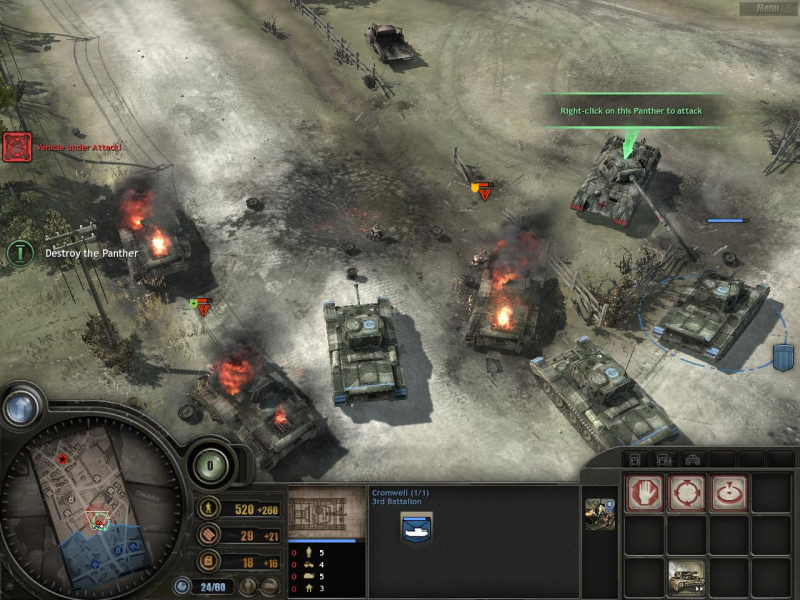 Company of Heroes: Opposing Fronts is a standalone expansion to Company of Heroes. 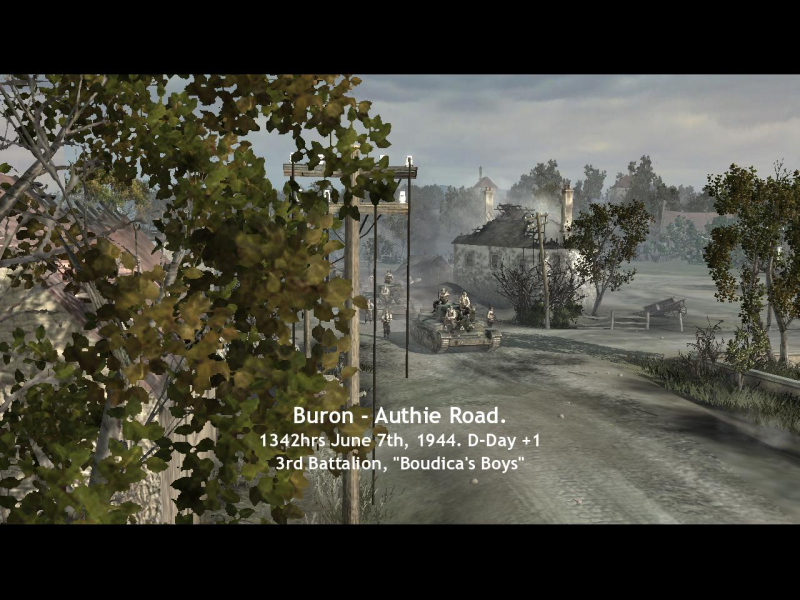 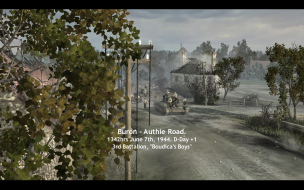 It remains a WW2 Real Time Strategy gamethat attempts to combine riveting, accessible real-time strategy gameplay with the cinematic sensibilities of World War II movies. The game supports multiplayer games for two to eight players via LAN or internet. 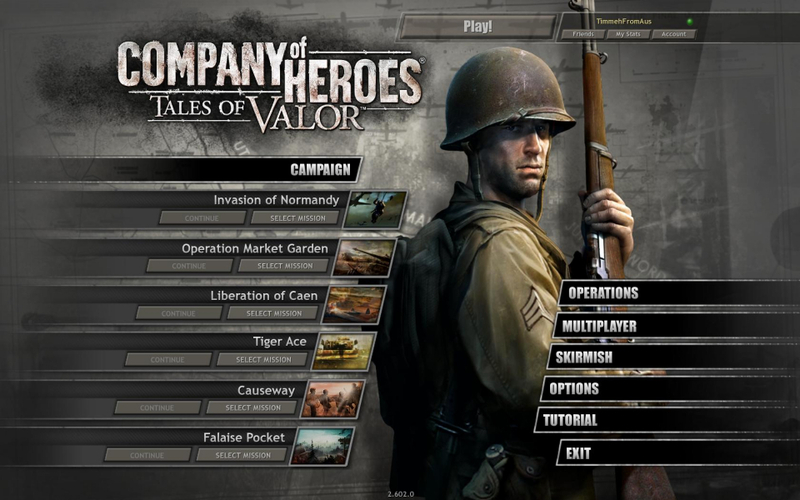 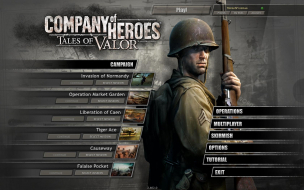 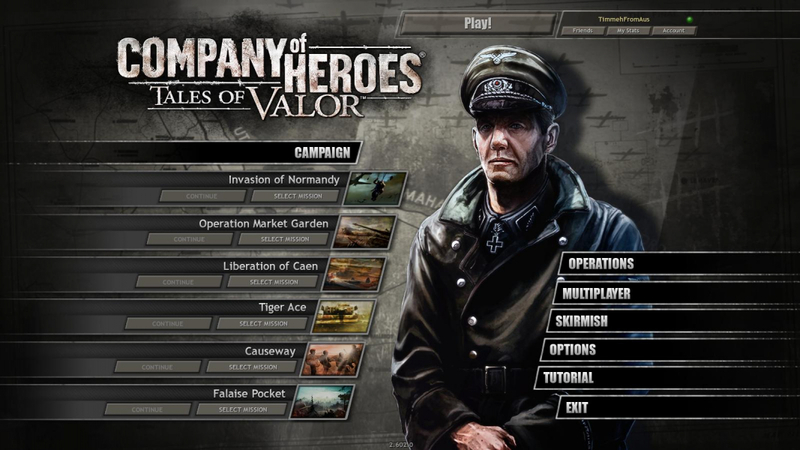 The previous game and subsequent standalone expansion pack (Tales of Valor) missions can be accessed through the same in-game menu once installed. Same as multimon. 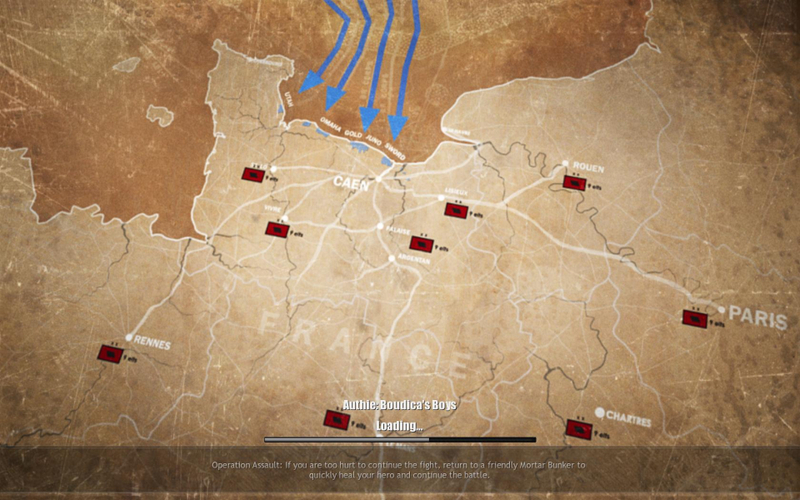 Native support, but while units and the map are properly scaled, the 2D overlay is massively stretched. 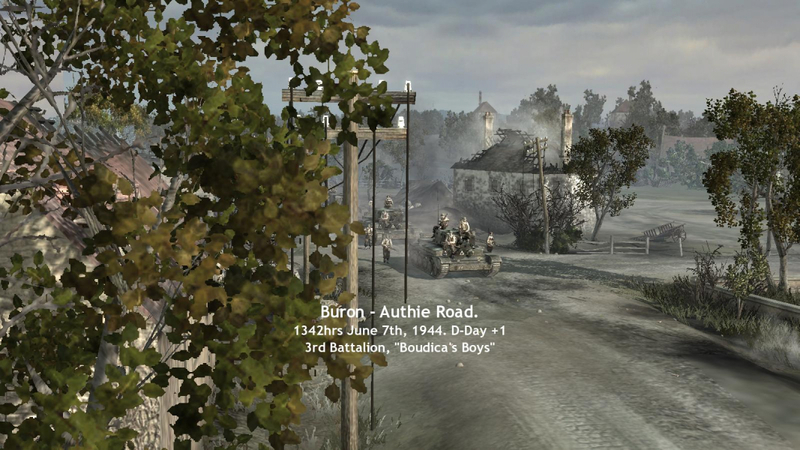 FMV and Rendered cut-scenes are Pillarboxed with text overlay on the side screens. 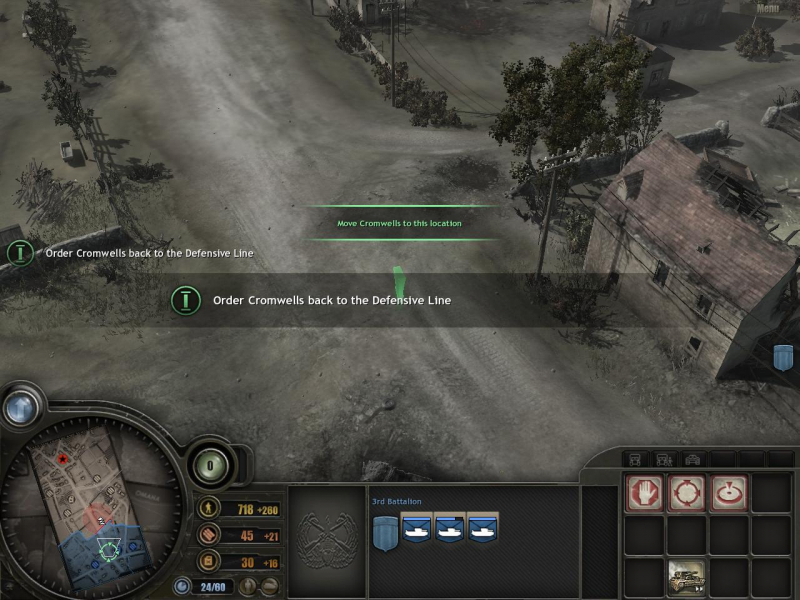 Native, but while units and the map are properly scaled, the 2D overlay is massively stretched. 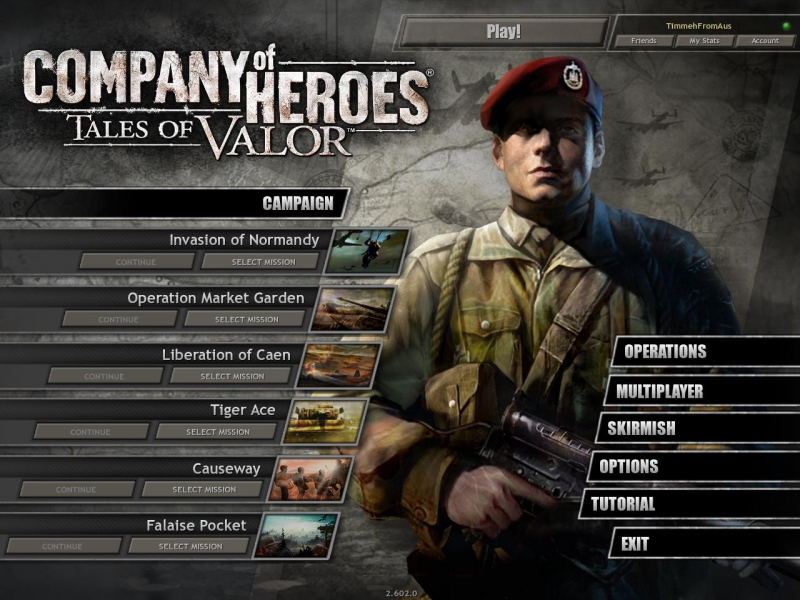 Menus are stretched also. 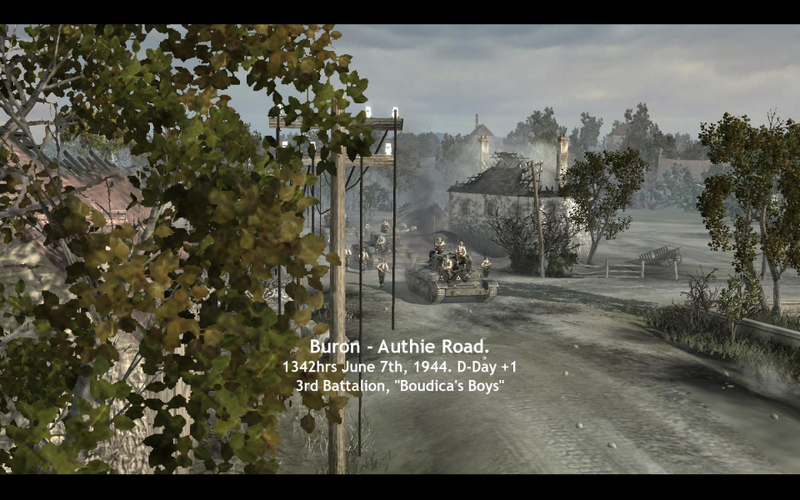 Rendered cut-scenes are fullscreen, but the FMVs are pillarboxed and are Vert- also.